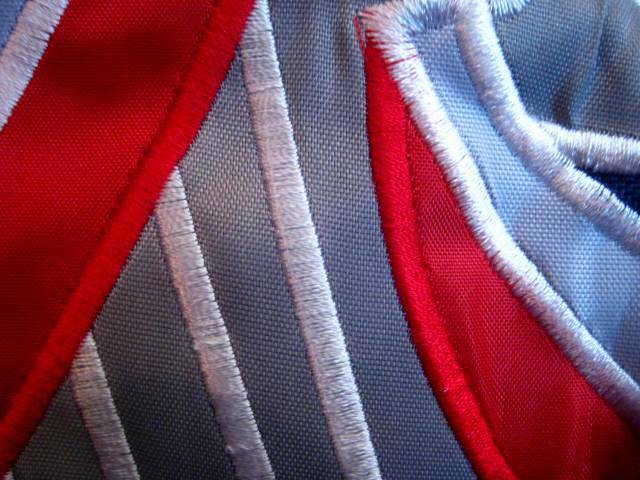 #H33 $49.00 3x5' SEWN design, polyester with heading and grommets. 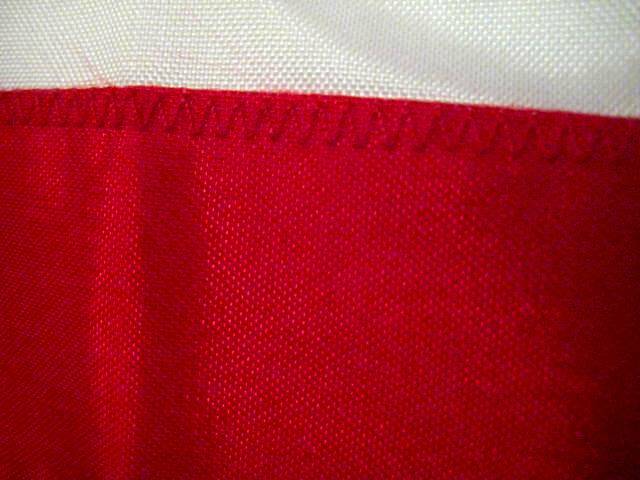 This is not a light weight printed polyester flag. Looks and feels like cotton. It is a stunningly beautiful execution of this elaborate design from an early test of our young nation's constitution and Federal government. Click the images below to see details of the beautiful workmanship. 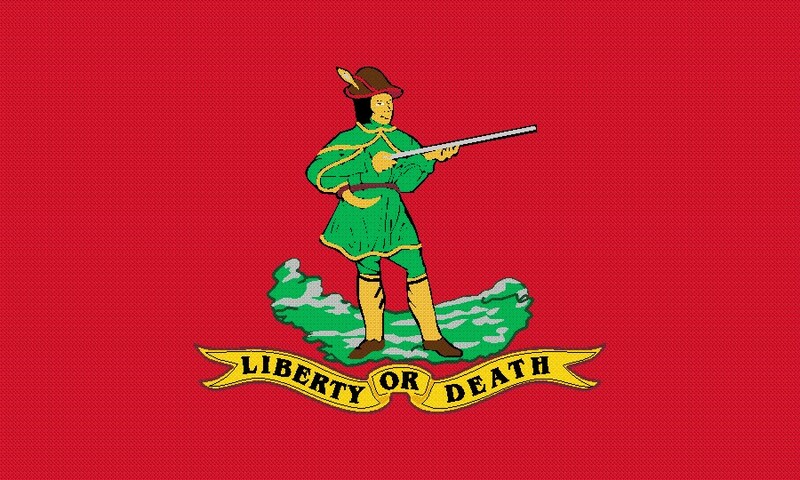 For historical accuracy it should be noted that this flag, which survives in a tavern in Pennsylvania, is widely said to be a flag of the Whiskey Rebels. Others dispute that notion. The scholarship of the matter is unsettled and it could even be a post rebellion flag. At any rate, it is a stunning flag from the first decade of our national existence and a terrific American flag design. Our 3x3' square size is in keeping with the original flag's 52x52". We've also made it with non uniform, irregular stars that capture the original flag's hand made look. #H211 $49.00 3x5' printed nylon design with heading and grommets. Many of the historic flags you see on my web site are the results of suggestions from people who visit here. When I am presented with a good story, good research and a cool looking flag, I like to get it made so here it is. The great-great-great-grandson of a "whiskey rebel" who stood trial for being a participant back then brought this suggestion to us from the historical research he has done on the matter. 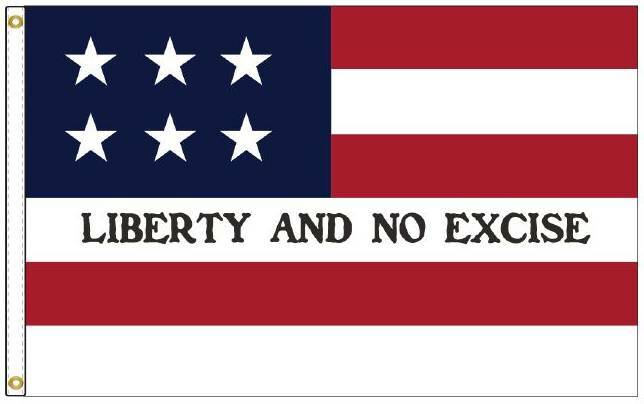 The slogan "Liberty and no Excise" in known to have been on multiple rally items associated with the rebellion and there is strong reason to believe that it appeared on this flag. 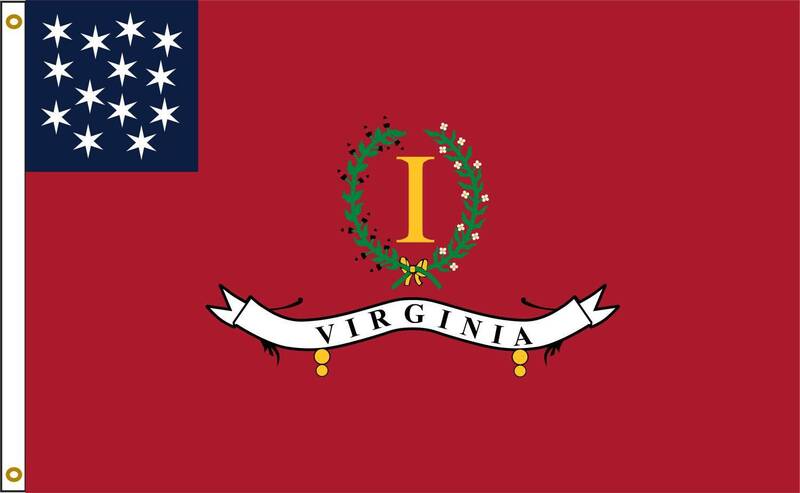 The six stars and stripes represent the five Pennsylvania and one Virginia counties under rebellion. Popular during WWII, designed to represent the 47 allied nations; its four symbolic bars stood for the four freedoms in FDR's famous speech: Freedom of speech, freedom of worship, freedom from want and freedom from fear. Presented to Miami Chief She-Moc-E-Nish by Wayne at the Treaty of Greenville in Ohio in 1795. The inscription reads "A. Wayne commander in chief"
1868. Grant's running mate was Schuyler Coflax of Indiana. They defeated Horatio Seymour of New York and Francis Blair of Missouri in an electoral college landslide. In this era it was common for political candidates to put portraits and slogans on flags. Newburyport, MA was the home of Matthew Thornton a signer of The Declaration of Independence. 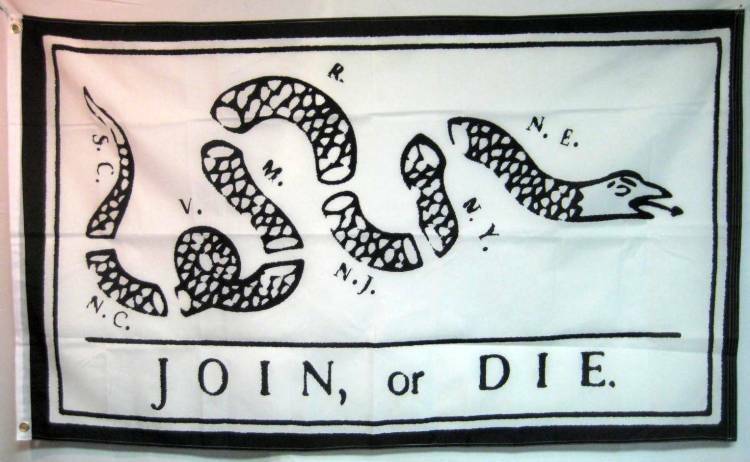 The militia's flag depicted 13 mailed hands each holding a link in a chain symbolically forming a never ending circle of unity in a common cause. 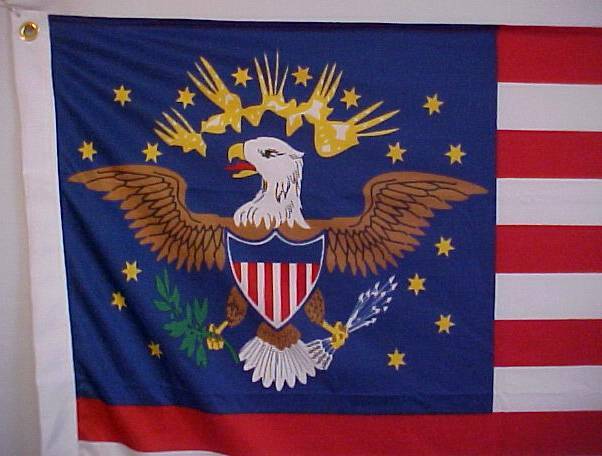 Vermont became a state in 1791 but did not adopt a flag until 1804. 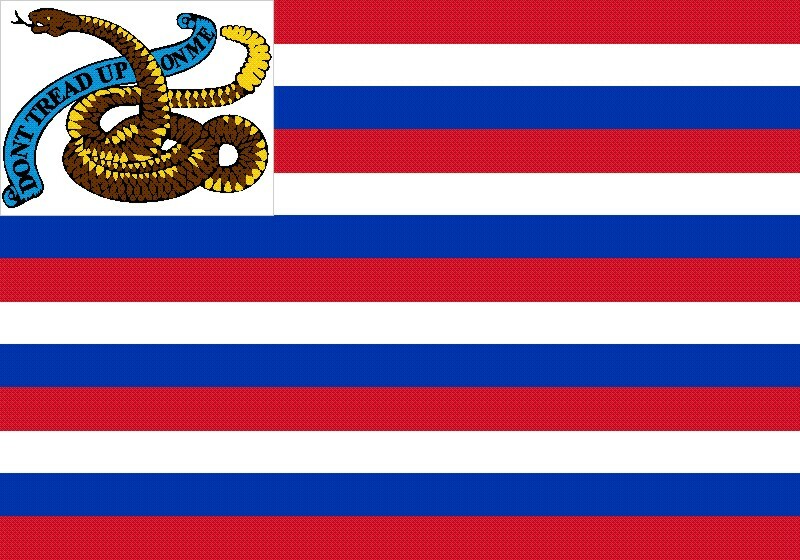 In 1837 the design shown here became the new flag. when the territory applied for statehood. The application failed and it was not until 1896 that Utah was admitted as a state. The beehive, symbolizing Mormon sense of community and industriousness, is on the current state flag today. 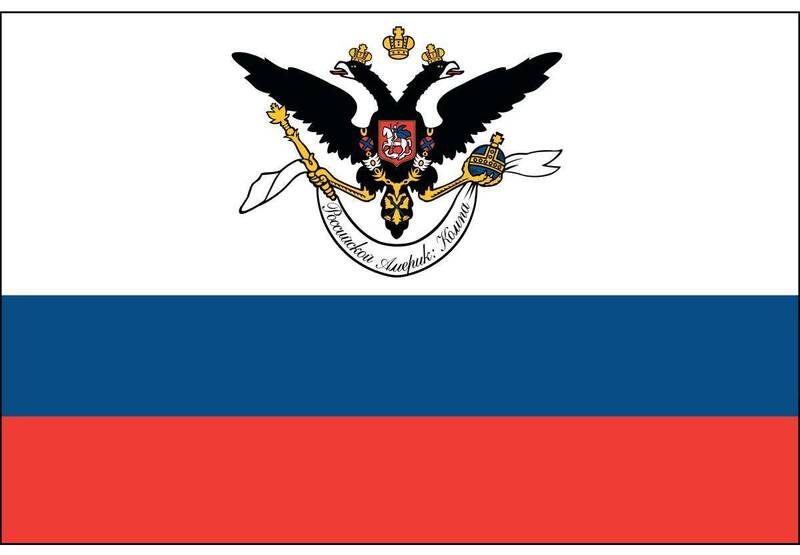 The design shown here, as are all depictions of this historical flag, are speculation based on newspaper descriptions of the flag. There is no known image of it. The number of stripes may not have been 13. At last a correct version with the white canton. Western explorer, and first Republican Party presidential candidate in 1856, Union Major General John Fremont refused to rescind his order freeing slaves confiscated from secessionists. He refused to send freed slaves back to their owners. Lincoln fired him for this unauthorized move. 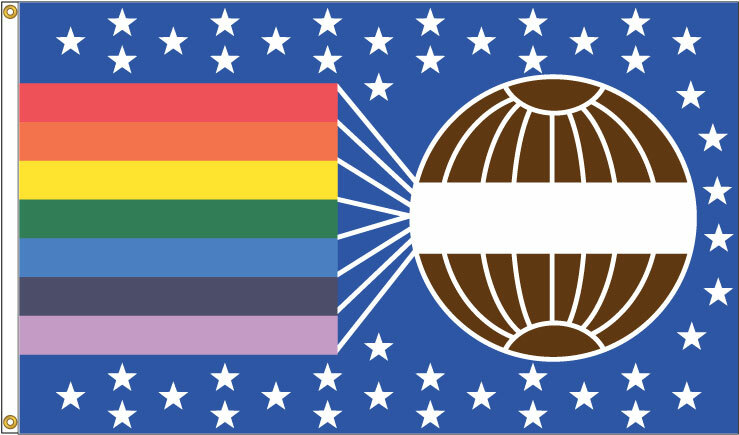 His wife created this flag for him to take on his early 1840's California expeditions. Titanic flag. It signaled to other vessels that, as a R.M.S, Royal Mail Steamer, she had been granted the right to transport His Majesty's Mail. Flown on her maiden voyage. 3x5' dyed nylon design with heading and grommets. Think of the Latin phrase on the back of the dollar bill: "E Pluribus Unum", Out of Many, One. 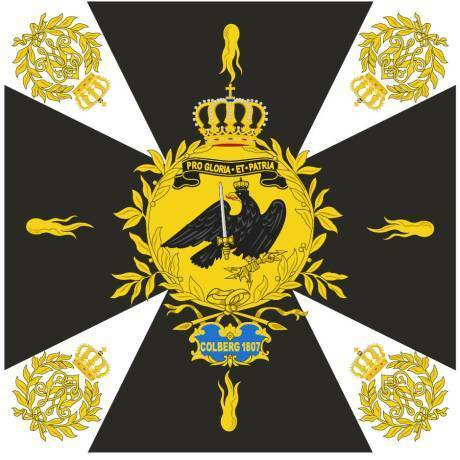 "First Continental Regiment Flag" Their motto: I refuse to be subjugated"
Know this man? Ever see his flag? The message to the British was unmistakable. The blue cap hanging on the staff is a "liberty cap." It goes back to ancient Rome where it was called a "Phrygian cap." A master would give the cap to a freed slave as a symbol of his new found freedom. The Phrygian cap was a common symbol in colonial politics. The sword speaks for itself. "These colors were captured by the Hessians either on August 27, 1776, at the Battle of Long Islands, or Oct. 28, 1776, at the Battle of White Plains. 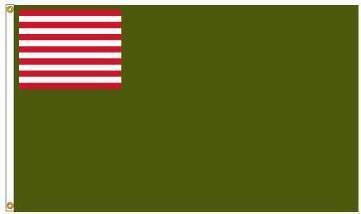 A German account, listing the earlier date, belittles the skill of the American troops who surrendered under this flag, but it was only a few weeks later that the same Hessians under Colonel Rall surrendered to General Washington at Trenton, Dec. 26, 1776. 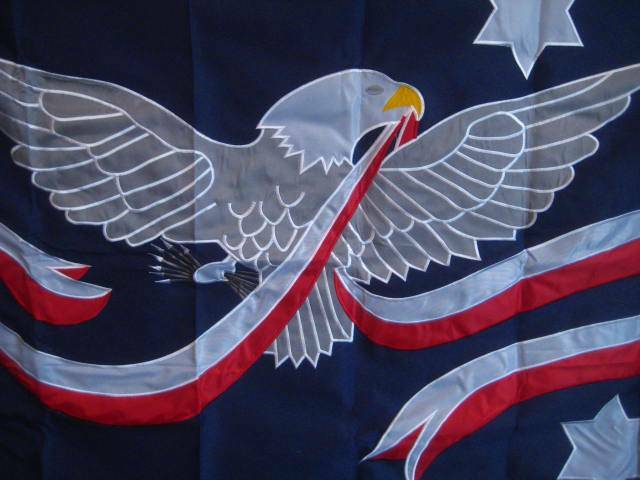 The design on the flag is taken from an undated engraving." 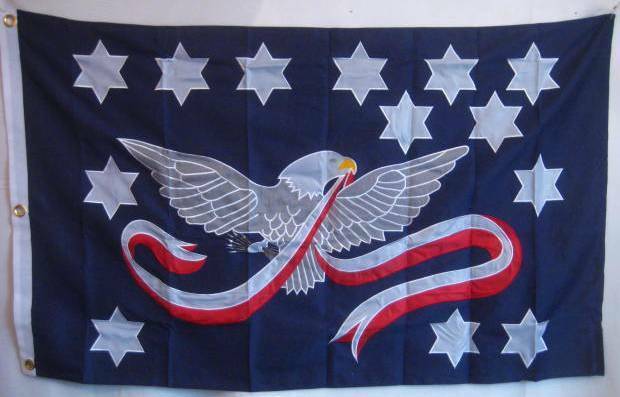 #H134S $178.00 Fully sewn Whipple flag with appliqued stars and sewn stripes. 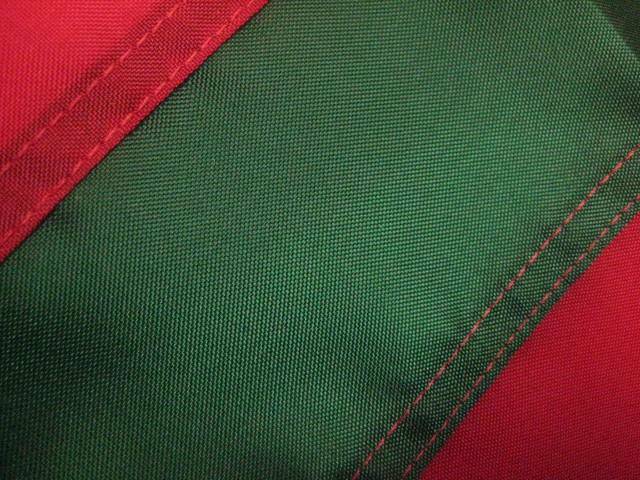 Nylon with heading and grommets. Allow about 4 weeks. 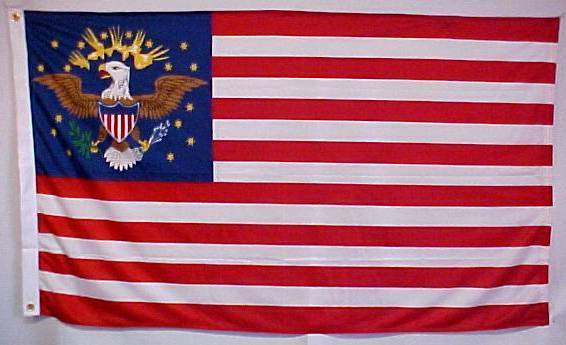 The 48-star version of the Whipple flag is the only one ever to go into production. A 46-star design is illustrated in Wayne Whipple's 1910 book but that same book has the 48-star version on the cover. Whipple's book makes reference to the design using the name "American History Flag". He did not call it the "peace flag". Whipple's book discussed the flag in terms of design and his idea was that the central 13 stars (in a form taken from the Great Seal of the USA [look at the back of a $1 bill]) represented the States that formed the Union, then a ring of 25 stars representing the 25 States that were admitted in the first 100 years of the country and then a ring of 10 stars for the 10 States that joined in the second hundred years (up to 1912), therefore he called it the History Flag. He went on to challenge all the boys and girls who read his book to come up with their ideas for a meaningful star arrangement. V. L. Campbell, an agent for the Dettra Flag Company, took out a 7-year patent on March 6, 1917 that was the Whipple design in a pennant form. At about the same time, although I haven't yet proven it completely, Wayne Whipple had a second edition of his 1910 book (still bearing the 1910 date) privately published with a new cover showing the 48-star version, identical to the patent design. My guess is the money to publish the book came from Dettra in trade for using the design on flags and pennants. Dettra produced both and I think the misnomer of "Whipple Peace Flag" may have come from Dettra who advertised the design in both forms as something to celebrate the end of the War in 1919. 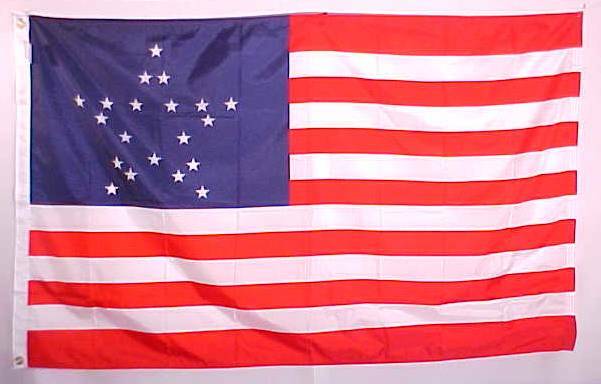 Whipple always called it the 'History Flag'. 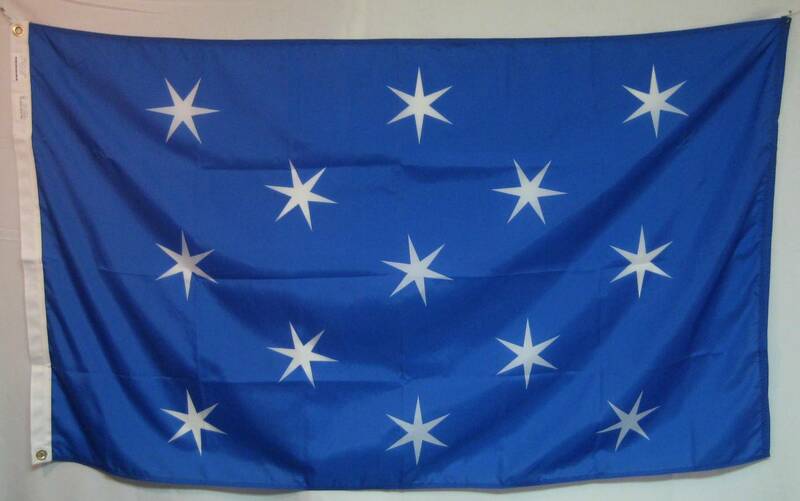 I think the Whipple flag was one of the best latter-day Great Star Flags, basically the last in real production. 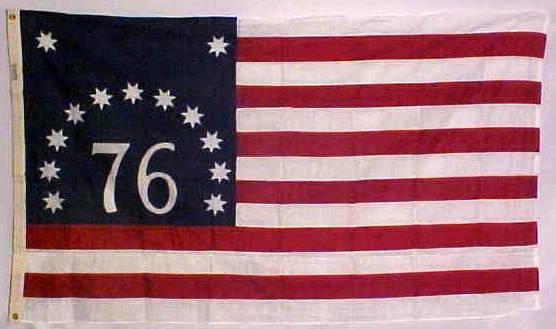 Fort Mercer Flag flown at Ft. Mercer, New Jersey, in 1777. 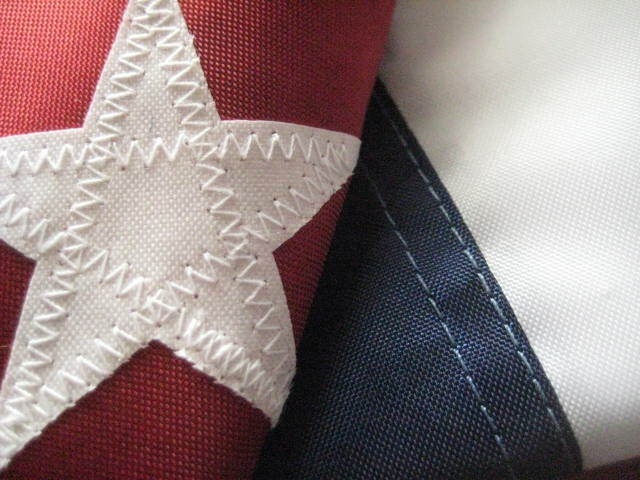 #H133 $49.00 3x5' nylon with printed stars and stripes, heading and grommets. 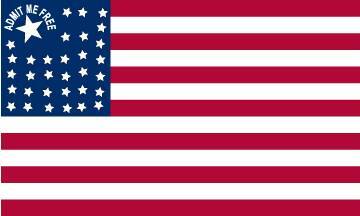 My source for information on these flags is Standards and Colors of the American Revolution by Edward W. Richardson. The source for the flags of both Fort Mercer and Fort Mifflin is a sketch made in October 1777. There are no surviving flags, nor any better depiction from an original source. 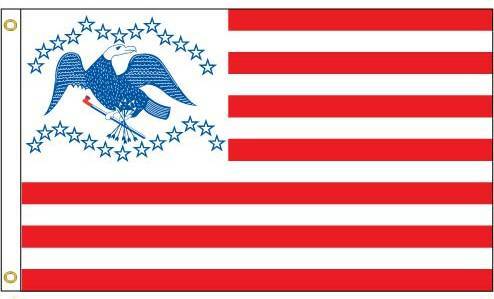 My own interpretation of the sketch (with the help of a magnifying glass) is that the canton is more nearly square, and almost half the width of the flag, so resting on the 7th stripe does seems right. It is impossible to make out anything from the stars. They are just rendered as dots, and there are not even a discernable number, much less pattern. They could be in rows or a circle. They could have 5 or more points. Richardson and the other (unknown) interpreter both use the 3-2-3-2-3 star pattern. Richardson’s stars have 5 points, the other uses 8 points (perhaps because they more nearly resemble dots). 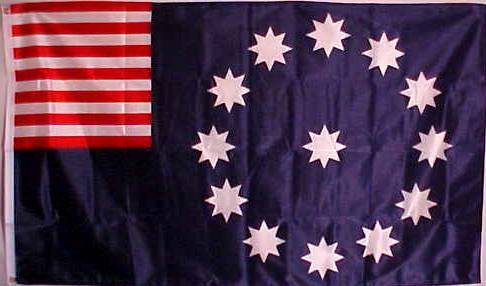 My inclination would be to accept the 3-2-3-2-3 pattern, and to use 5-pointed stars as Richardson did, on the chance that these flags, being flown at forts near Philadelphia, were actually made by Mrs. Ross. 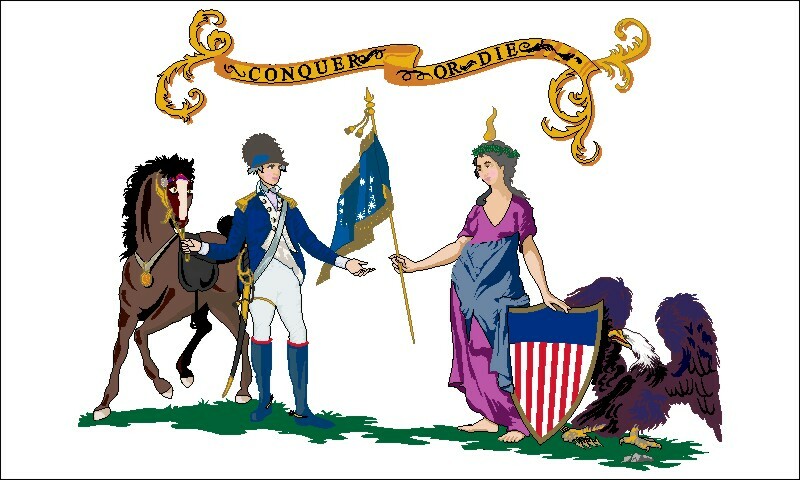 Note that, the Fort Mercer flag, sketched in October 1777, four months after the June 14 flag resolution, is probably the first depiction of the Stars & Stripes pattern, even if the colours are reversed from what Congress desired. 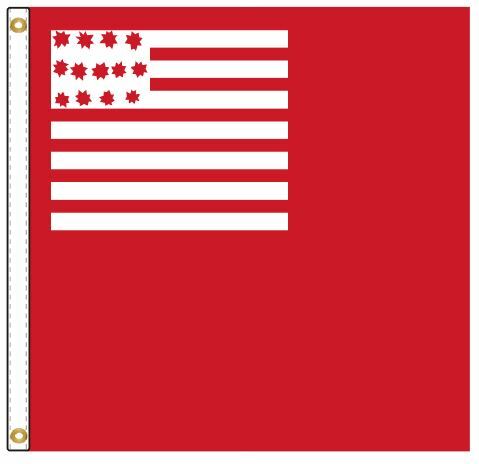 So, to recap, if I were making a replica of the Fort Mercer flag, it would be 3 x 5 feet with 7 blue and 6 white stripes, with a square red canton resting on the seventh stripe (a blue one) with 13 5-pointed stars in the 3-2-3-2-3 pattern. 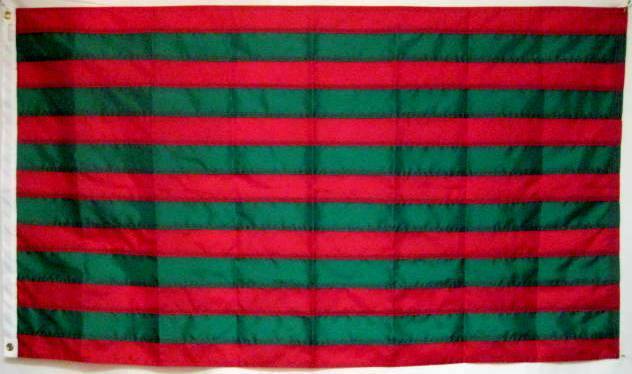 Ft Mifflin Flag #H120 $49.00 3x5' This is now a nylon flag with SEWN stripes, heading and grommets. Our previous version was a printed flag. A favorite and popular political cartoon before The Revolution it was widely distributed and understood. It first appeared in Ben Franklin's Pennsylvania Gazette newspaper on May 9, 1754 and spread to other newspapers. The danger of disunited colonies was graphically illustrated in this cartoon along with his editorial making the case for colonial unity. 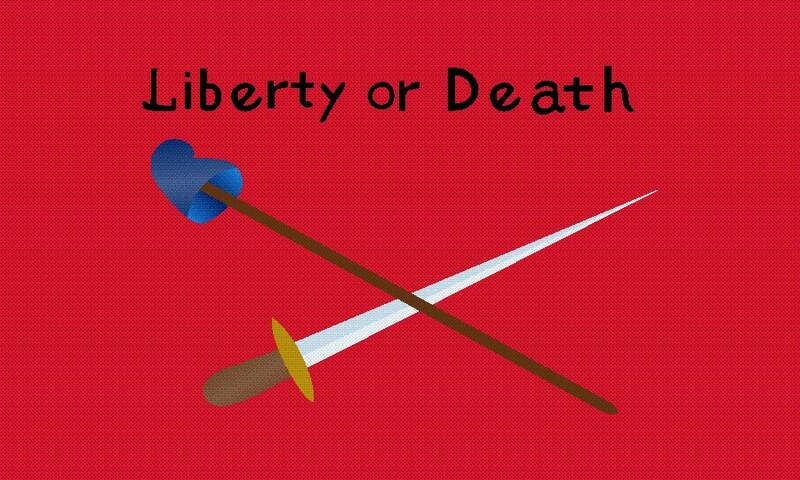 This was never an actual flag back then but it is now. We learned many years ago about listening to your suggestions when Earl Williams first urged us to make The Francis Hopkinson flag. Since then we've had lots of fun making available wonderful old flags that deserve to fly again. When someone requests a flag with a compelling story I find it hard to resist. When flag scholar Vex Man Dave Martucci asked us about this one I said "you're on." Thought to be the first American flag to be saluted by a foreign warship. Mr. Fowle was a militia soldier stationed at "Castle William" in Boston. 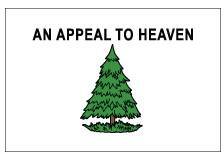 He is said to have presented this flag to the officers there in 1781. After The Revolution, the post was renamed Fort Independence. The first war ship to visit the new United States after hostilities ended was His Royal Brittanic Majesty's ship "Alligator" in 1791. She saluted the American flag with 13 guns and the fort returned the salute. Some accounts say the flag saluted was the very one donated 10 years earlier by Jonathan Fowle. Our reproduction captures the home made charm of the original flag now part of the Massachusetts State House collection. Some refer to this flag as the Fort Independence Flag or the Castle William Flag. We prefer naming it after the soldier rather than the fort. Click here to read a more detailed article about the flag's history. 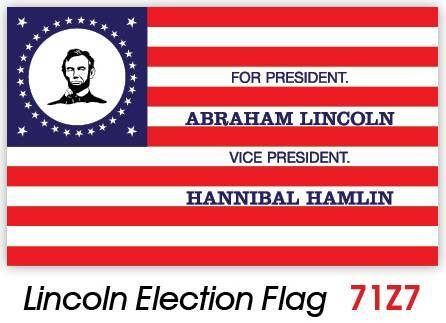 The Flag Guys ® is interested in making more historical flags available to the public. American history is rich with amazing stories that deserve to be remembered by flying the flags connected with them. That is why we have produced so many flags in response to your suggestions and requests. Unless a flag is mass-produced, it is only available on a "custom" basis. A custom flag rarely costs less than a hundred bucks, and can cost many hundreds. 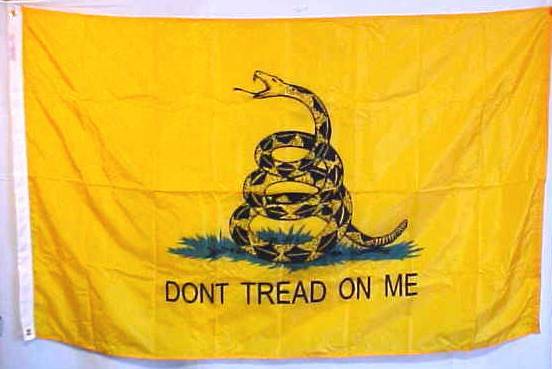 The usual historical flags like the Betsy Ross, and the Gadsden are fine. But there is so much more to history than that. 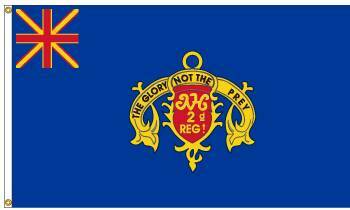 So if you know a flag that deserves to be remembered, or a regiment that ought to be honored by anyone who would like an affordable flag to fly, please share it with us. Send us a picture and the story. Maybe we'll make it available to the public. Bookmark this site as we'll be adding more historical flags. A Unique Replica of American History. Don't worry about an item not having an item number. We don't have an item number for every item. Just order it by name, description and price. We will know which flag you want. This is a one of a kind warehouse find. 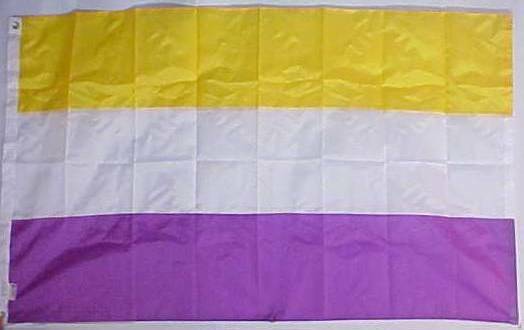 This flag has not been made since the 1990's and it is not made now. We were able to acquire a closeout batch of new, old stock. Cotton flags are a wonder. The beauty of the older silkscreening process, the color values of the hues and the old school texture is from another era. They just don't make them like this anymore. The old silkscreening process on cotton did not achieve the same penetration as modern day printing on nylon. 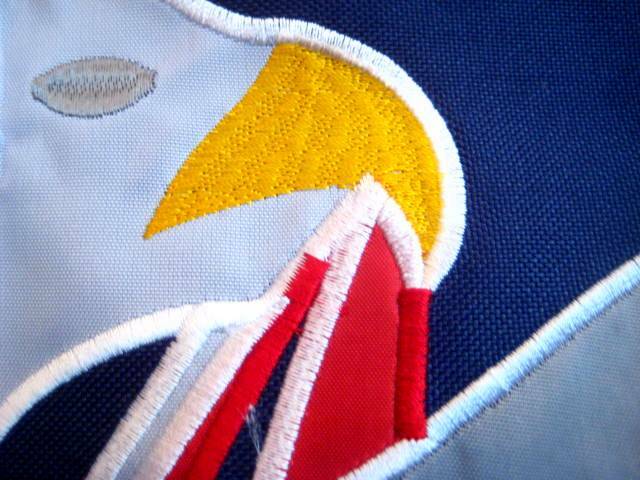 Accordingly, the color intensity on the back side is only about half as that on the front side. Cotton flags sometimes had problems with color fastness in the rain. 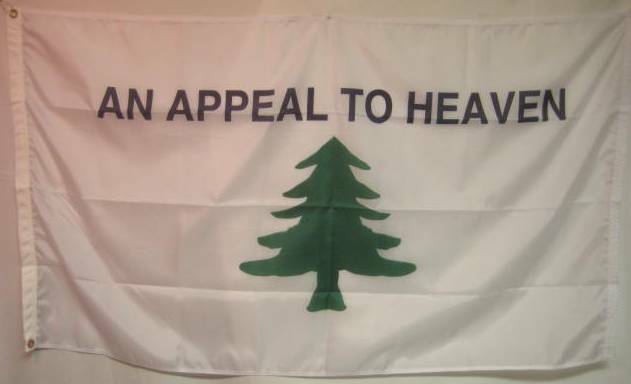 Accordingly this flag is best for use indoors or outdoors on a clear day. We are selling it with the advisory that it should not be gotten wet or used in the rain. 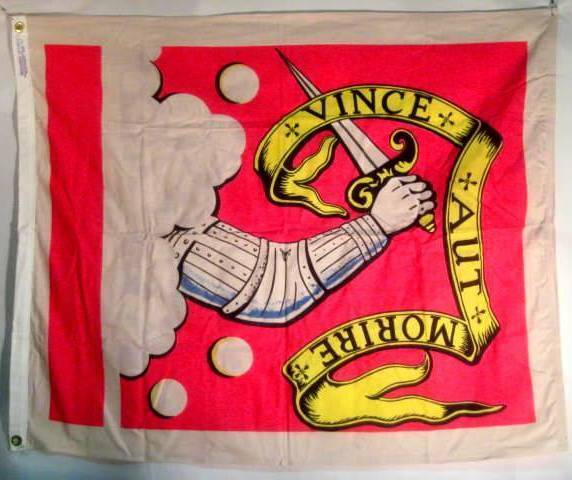 #H192 $49.00 The Gansevoort Flag, 3rd New York Regiment; Served at Ft Stanwix, Sullivan Campaign, part of the Morristown winter encampment of 1779-1780 and in the American invasion of Canada. 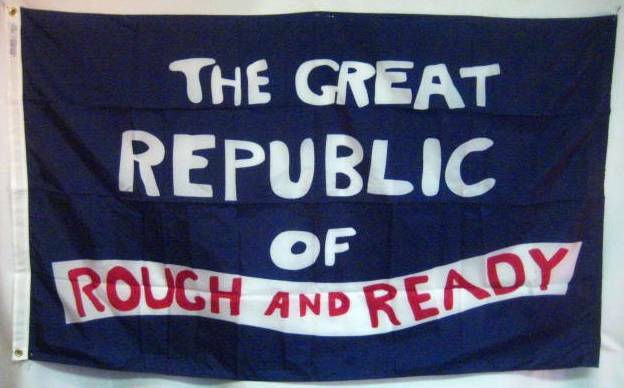 Some say this flag became the basis of the design for the modern New York State flag. Gonzales Banner "Come and Take it Flag"
From Oct. 2,1835 in the history of The Great Lone Star State of Texas! Santa Anna had abolished the Mexican constitution of 1824 and made himself Dictator there. In 1835 he sends forces to reclaim a cannon in Gonzales. Can't have a cannon out among the people you are trying to control! On October 2, Texan volunteers unfurl this flag and fire the first shot in their war for independence from Mexico. Good old American defiance! At the time, Texas was a Mexican province. That December, Texans take over the nearby Alamo and allow the defeated Mexicans there to leave. But in February 1836 5,000 Mexican troops arrive led by Santa Anna himself against whom 182 Texans and Tejanos, Texans of Mexican descent, hold out for 10 days before drawing their famous "line in the dust" and perishing to the man. A handful of women and children are spared. The Gonzales Banner is an emotional and spontaneous expression of a handful of Texans standing up for their freedom and democracy. "The name Grand Union was retroactively created by 19th-century historians to describe the Continental Colors" quoted from end note #15 in Peter Ansoff's article "A Striped Ensign in Philadelphia in 1754" published in RAVEN Vol 15 by NAVA. Also of interest is his end note #2 from the same paper. "There is no official record of when, or by whom, the Continental Colors was created; however, the earliest known description is believed to have been written in early December, 1775." 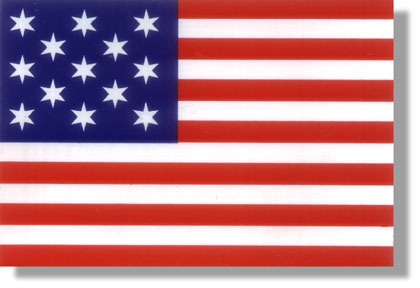 There were many versions of "Great Star" flags in which the star pattern itself formed a star. 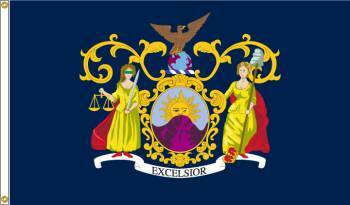 This flag was used to commemorate three landmark passages in New York State and American history. 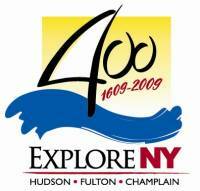 The Quadricentennial commemorated the explorations of Henry Hudson and Samuel de Champlain in 1609, as well as the 200th anniversary of Robert Fulton’s first steamship voyage along the Hudson River. 3x5' Outdoor Nylon Flag finished with canvas heading and brass grommets. "Bleeding Kansas." I find the 10 years leading up to The War Between The States more interesting than the war itself. Imagine the type of sectional violence that makes us shudder when we see it around the world today. Back in the 1850's a mini civil war was going on in Kansas. The territory was poised to become a state. Would she enter The Union as a free or slave state? Pro slavery interests, free soilers, and abolitionists all rush to settle and control the state's future. The collision of these forces leads to The Pottawatomie Creek Massacre lead by John Brown. There is the Sacking of Lawrence Kansas lead by a sitting US Senator. Two competing state governments are formed and there are two different competing state constitutions. "Popular sovereignty", pushed by Stephen Douglas, seeks to allow the voters to decide the slavery issue. In 1856 the Republican Party appears for the first time in a national election with presidential candidate John C Fremont. Kansas was a major hot button issue in that race. The political balance of congress was at stake. The Republican platform calls for no expansion of slavery into the territories. The Republicans campaign against the expansion of slavery. The Democrats warn that the Republicans are a radical sectional interest whose victory will lead to the destruction of the fragile Union. Fremont is defeated by James Buchanan. The Republicans would come back four years later and win with Abraham Lincoln upon whose victory the Union would indeed break apart. These are two flags used to support Fremont at rallies. 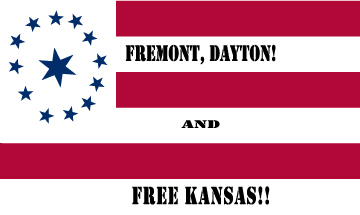 Don't miss Fremont's personal flag. 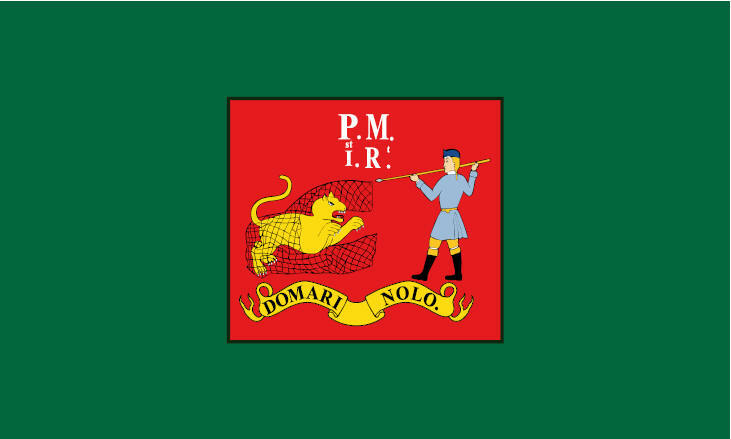 The Rhode Island Regiment was a the first all black unit in America. It distinguished itself during The Revolutionary War. Among other action, it took part in the assault of Redoubt 10 at Yorktown. Just Google its name and check it out. 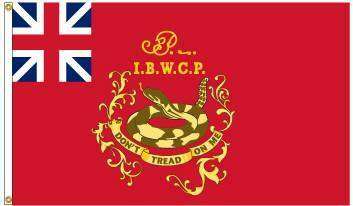 Lasting from 1799 to 1881, the company's flag had many slight variations over its history. General John Sullivan, a lawyer of New Hampshire, member of the First and Second Continental Congress and militia leader early in the war. Made Brig. General for the siege of Boston. Later appointed by Washington to command the invasion of Canada. Next made one of the commanders in the horrible American defeat on Long Island where his forces were attacked from the rear and front simultaneously. After hand to hand fighting in which his command was almost wiped out, he was captured. Released in a prisoner exchange, he was with Washington again at Trenton and Princeton. Later commanded the scorched earth campaign against the Iroquois in western New York. This flag has been discontinued, but I keep it posted for the interesting historical information below. 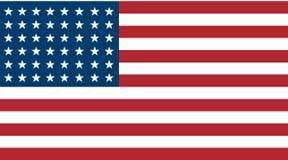 48 Star American Flag 3x5' Old Glory had 48 stars from 1912 to 1959. Think of all the events she went through in that time. All historical versions of our flag remain legal and may be properly flown at any time. Our offering is with heading & brass grommets fit for outdoor use. 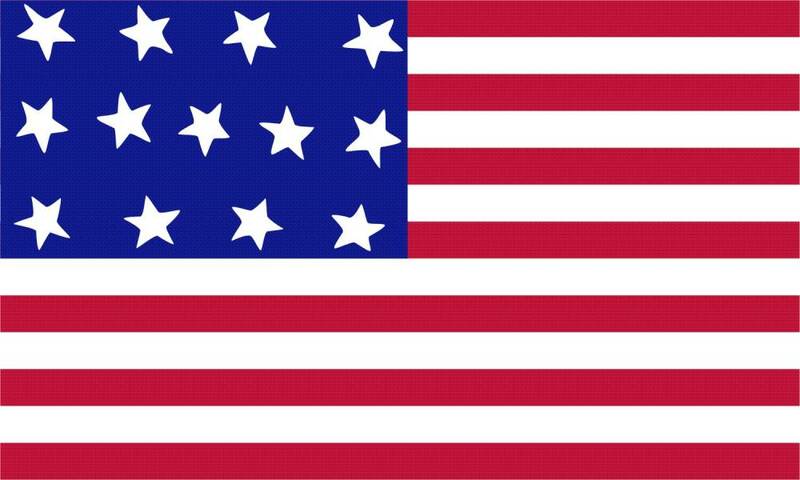 The Development of Old Glory: By law a star is now added to the American flag on July 4th following the admission of a state to the Union. The following table traces the changes in the US flag since 1777. 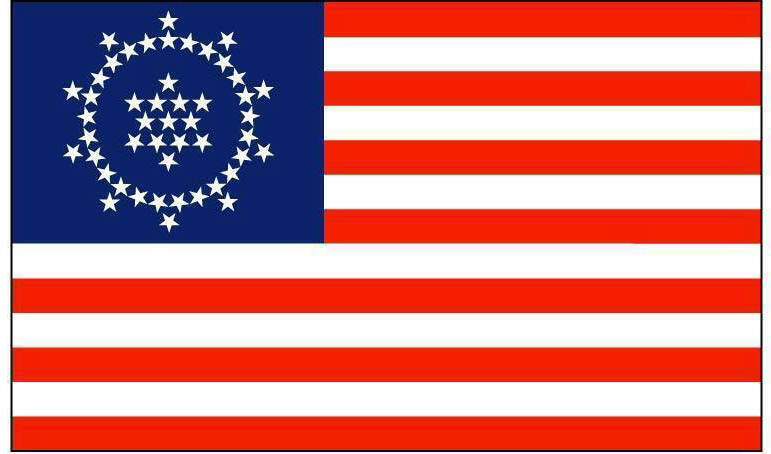 While many believe the first official flag was the "Betsy Ross" with 13 stars in a circle, many feel it was a "spread star" pattern as shown. It is still quite proper to fly one of these wonderful "Odd Star" flags. Each is a "legal" flag simply representative of an earlier era and they never become "obsolete." They remain entitled to the same respect as our current day "Old Glory." Many people with historic homes enjoy flying an historic flag that is from the same period as their home. 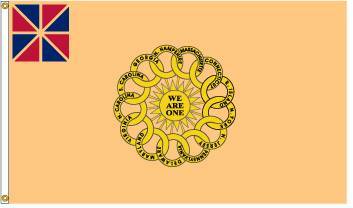 We thank flag scholar Dave Martucci for the suggestion and for teaching us the history of this flag. Dave has an extensive series of flag pages. Just google "Vexman". Included is an antique flag appraisal and assessment page. When Boston was founded in 1630, it was immediately recognized that the city was somewhat vulnerable to attack by sea. Within a few months of the first settlement, a decision was made to fortify one of the islands in the harbor, one that stood immediately next to the main shipping channel. This fortification, originally of logs, was named Castle William and it became the principal military outpost of the Bay colony. When the British evacuated Boston in 1776, they destroyed the fortifications. The Americans immediately began to re-fortify Castle Island. They again named the fort Castle William and by the close of the Revolutionary War it was regularly garrisoned with local militia. 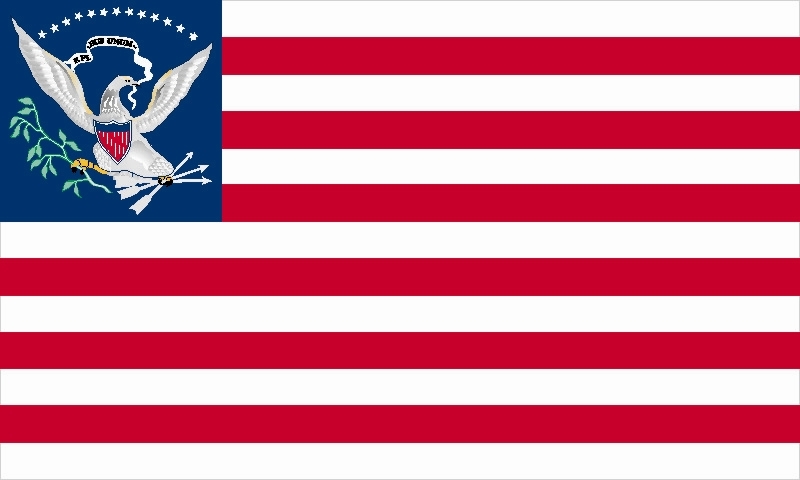 In 1781, it is reported that a militia soldier stationed at Castle William by the name of Jonathan Fowle presented the officers of the fort with a large American Ensign of 13 stars and stripes measuring approximately 6 feet by 10 feet. No one knows why Mr. Fowle made this presentation; some speculate he had some connection to a flag maker, but no one knows for sure. His descendants did not say why, only that it happened. Custom of the times only required the display of the flag when foreign ships entered the channel leading past the Castle. It would be hoisted as soon as a vessel was spotted. An arriving foreign ship was required to hoist their flag and fire a salute, after which the garrison would briefly dip the American Flag and return the salute. Dipping the US Flag is no longer done. The number of guns to fire was the subject to some controversy since the customs of the times indicated the salute to a Royal Vessel was supposed to be 21 guns, while the salute to a Republican Vessel was four guns less than offered (republicans were supposed to fire first at sea). Americans only asked for 13 guns, one for each State, although the controversy escalated in the mid-1820s when the number of States increased past the 21 mark. Because the flag was seldom displayed, it had a long life, especially compared to today when the tendency of Americans is to hoist the flag and leave it flying until it wears out. 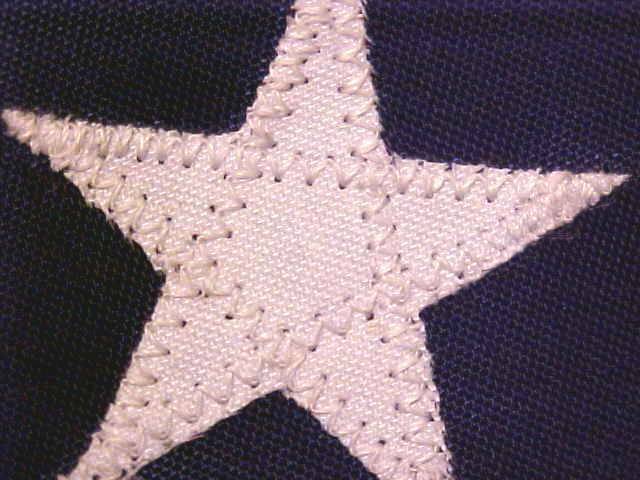 Ten years after it was presented, this flag may have become a part of American History. Following the end of the American Revolution, a Treaty of Peace was signed in late 1783 between the US and Great Britain that recognized American Independence. Although some British merchant vessels very soon arrived in American waters, no British "Man-of-War" arrived until May 2, 1791 when His Royal Brittanic Majesty's ship "Alligator", Isaac Coffin, Captain, arrived in Boston harbor from Halifax. While passing the Castle, the "Alligator" saluted the American Flag with 13 guns, which was promptly returned by the garrison of the fort. Some reports indicate the flag that was flying on the Castle was the same flag that had been presented ten years earlier by Jonathan Fowle. This was the first instance of a Royal British vessel saluting the American Flag following the Treaty of Peace, thereby certifying British recognition of American Independence. On May 3, 1791, the newspaper "Colombian Centinel" published at Boston said of the event: "This mutual attention to powers, who were lately hostile to each other, shows the superior liberality of the age in which we live, and proclaims to the world the verification of that memorable instrument, the Declaration of Independence, in which our political fathers declared that they 'should hold the king and subjects of Great Britain as they did the rest of the world, -- enemies in war; in peace, friends.'" Some accounts in the family speculate this flag was carried by militia troops in the War of 1812, but the size of the flag, its manufacture details, and the customs of the times make this unlikely. Castle William was ceded to the United States government in 1793 and subsequently renamed Fort Independence. The island retained the name Castle Island. In the 1840s, a new fort was constructed on the foundations of the old one, made of granite and laid out in a 5-pointed star shape. The island is no longer an island, having become a peninsula of South Boston by land fill. Today it is a museum open daily to the public in the summer months. 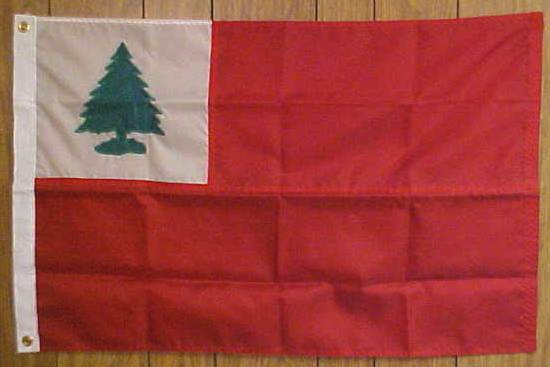 The flag has been preserved over the centuries and now is a part of the Massachusetts State House Flag Collection. For those of you who are not familiar with the North American Vexillological Association (NAVA), if you love flags you are really missing something by not being a member. I have been one since the late 1980's and have long enjoyed my membership. There is a regular newsletter (more of a small magazine really) full of educational flag news and scholarly articles. There is a more substantial annual jury reviewed journal. There is contact with flag buffs from all over the world. There is a wonderful web site. Joining this organization and getting the newsletter would be an educational and enriching experience for anyone. It is terrific for anyone interested in history, geography, or graphic design. It would be a stimulating membership for kids. Members come from all ages and all walks of life. At the NAVA conference in Nashville there was medical doctor from France, a government protocol official from Quebec, a few lawyers, a high school custodian, and several authors. I will soon post some pictures from that event. By the way, I plug NAVA as an interested member of the organization. NAVA does not endorse The Flag Guys ® or any other business. It has numerous other commercial members. Quoted verbatim from the Fort Mifflin web site: "Located on the scenic Delaware River, Fort Mifflin was originally built by the British in 1771. 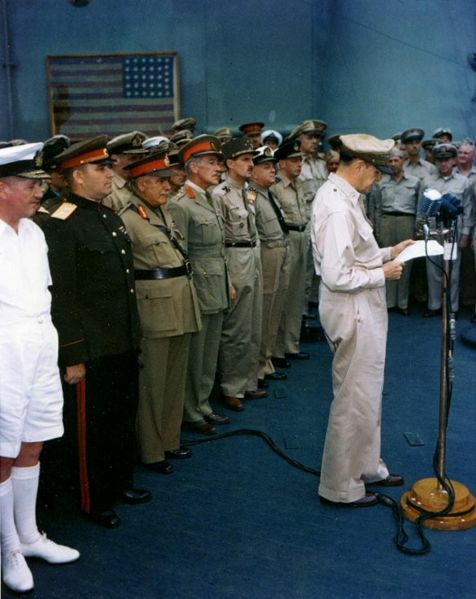 It is the site of the largest bombardment the North American continent has ever witnessed. In 1777, during the American Revolution, a valiant five-week battle took place when the British Navy attacked Fort Mifflin on Mud Island. The British had the garrison of approximately 400 Continental soldiers surrounded from three sides. Attempting to open the supply line for the British Army already in the Rebel capital of Philadelphia, the British shot over 10,000 cannonballs at the Fort, causing the garrison to eventually evacuate. Over 150 Continental soldiers died as a result of the battle and led Thomas Paine to write: “The garrison , with scarce anything to cover them but their bravery, survived in the midst of the mud, shot & shells, and were obliged to give up more to the powers of time & gunpowder than to military superiority.” This allowed General Washington and the Continental Army to repair to their winter quarters in a place called the Valley Forge. Too late in the season for British General Howe to chase them, the garrison at Fort Mifflin thus extended the war and allowed the American army time to regroup until the spring of 1778. 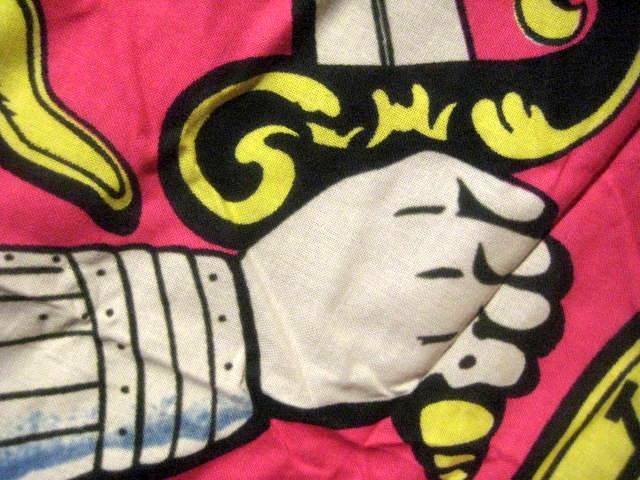 When reproducing historical flags, sometimes there is no 100% way to know their exact design. Absent an actual flag still surviving, their exact appearance is often a matter left up to interpretation. For our my research I turned to Dexereaux Cannon, author and flag scholar who writes his opinion below. As you can see, there is a case to be made for more than one stripe arrangement of the Mifflin flag. Our is of the version used at the fort today and known to have been used by American ships of the period. 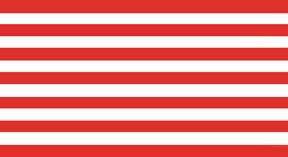 <<My source for information on these flags is Standards and Colors of the American Revolution by Edward W. Richardson. The source for the flags of both Fort Mercer and Fort Mifflin is a sketch made in October 1777. There are no surviving flags, nor any better depiction from an original source than that shown in these prints. In the case of the Fort Mifflin flag, as best as can be made out from the sketch as reproduced in Richardson’s book, the flag’s overall dimensions are 1 x 2. In Richardson’s book, and other sources, including Fort Mifflin, show the stripes as RED/WHITE/BLUE/RED/WHITE/BLUE/RED/WHITE/BLUE/RED/WHITE/BLUE/RED, so that seems to be the accepted form, and it does correspond to a 1778 painting showing the same flag flown on four captured American merchant ships, and to the stripes on the Grand Union flag flown by the Lexington in 1777. But if I were making an independent judgment based purely on what I see in the 1777 sketch, I would shown it with stripes as WHITE/RED/WHITE/BLUE/ WHITE/RED/WHITE/BLUE/ WHITE/RED/WHITE/BLUE. You have an excellent site and I applaud your flag information accuracy or at least the attempt to get it correct as best that you can. 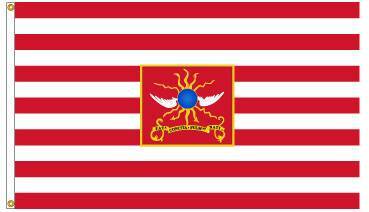 Which brings me to the question at hand, the accuracy of the Fort Mifflin flag and its origins. Your expert, Dexereaux Cannon is correct in his deduction that the flag would be, (in) his estimation, WHITE/RED/WHITE/BLUE/WHITE/RED/WHITE/BLUE/WHITE/RED/WHITE/BLUE. I believe he is marking his opinion on the John Paul Jones, Franklin or "Serapis" flag that is mistakenly described as the "first American flag recognized by a foreign power" when the Dutch fleet were ordered it be "recognized on the high seas as the colors of a foreign country." 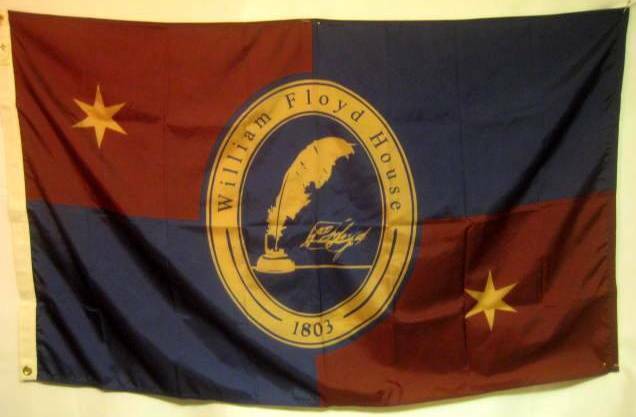 Or that he feels that since Fort Mifflin's sister fort, Fort Mercer had a flag that had blue stripes rather than red, the distinction by Mr. Cannon can be made about the Fort Mifflin flag. 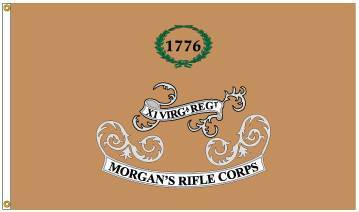 But the Fort Mifflin flag flew almost a year before Fort Mercer was even manned in the fall of 1777, so it was the first of the two that appeared. 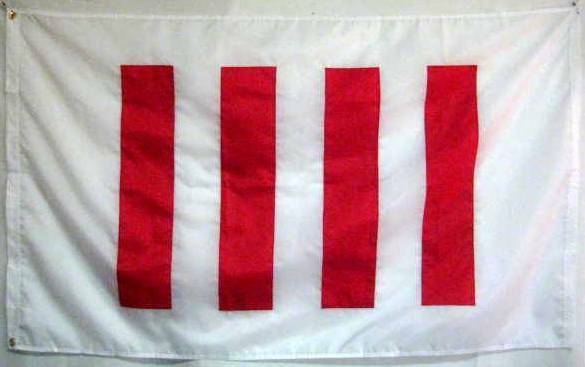 Our information about the Fort Mifflin flag comes to us from several sources that detail the flag used by the Pennsylvania Navy, which operated on the Delaware River in 1777 around Fort Mifflin as a "thirteen striped flag of alternating red, white and blue stripes." 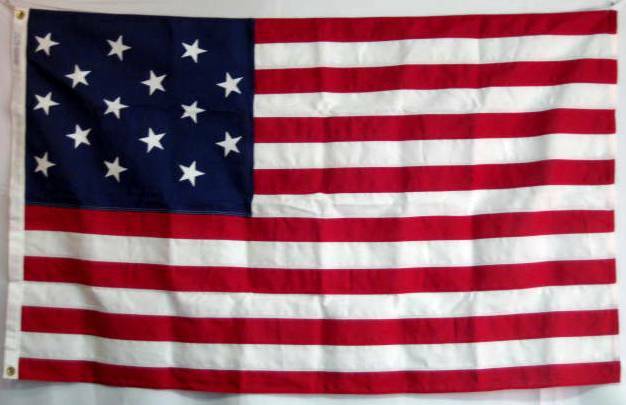 It only serves to believe that Fort Mifflin would have adopted such a flag as their own and we have examples of one original flag that survived that shows these colors. 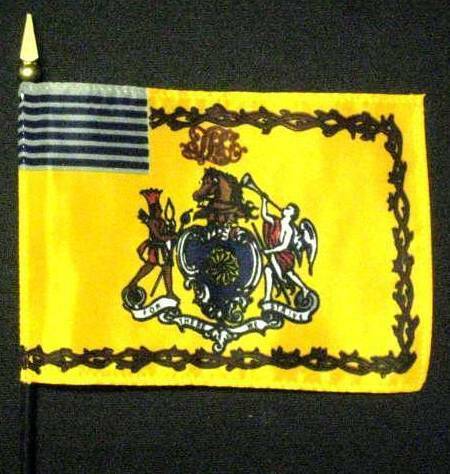 One of the sources comes from the Pennsylvania Navy flags makers records, as well as the U.S. Government of the time. One, Elizabeth Griscom Ross Claypoole, better known to us as Betsy Ross. Ross may not have made the first flag as legend suggests, but strong evidence that Ross did in fact make flags for the government includes a receipt for her making "ship's colours" for the Pennsylvania Navy in May 1777, as well as one large garrison flag for the troops on "Mud Island Battery," better known in history as Fort Mud or Fort Mifflin. It is also probably the source of the legend that was trumped up certain members of her family in 1876 to cash in on our country's Centennial celebration, which they did mightily. Lastly, that Mr. Cannon interprets the drawing from the siege of Fort Mifflin in the fall of 1777 as having WHITE, RED, WHITE, BLUE, WHITE, RED, WHITE, BLUE, WHITE, RED, WHITE, BLUE escapes my eyes. I have seen the actual, original water color drawing by Major John Montressor who was on one of the ships bombarding the Fort and you can clearly see that the stripes are thirteen; red, white, blue alternating stripes. All that said, things of this nature are always up to interpretation. As an historian I have learned that you do not use two words; Never and Always. No sooner than these words are used then a another historian will come along in preceding years and prove you incorrect. Such is the case with Mr. Cannon and I someday. Bravo Zulu on a job well done and keep up the good work.
" >> Pretty soon you are going to be sick of hearing from me. That is especially so with regard to the present message. Have now had a chance to view your historic listings in detail. Sorry to say, but I must challenge three of them. 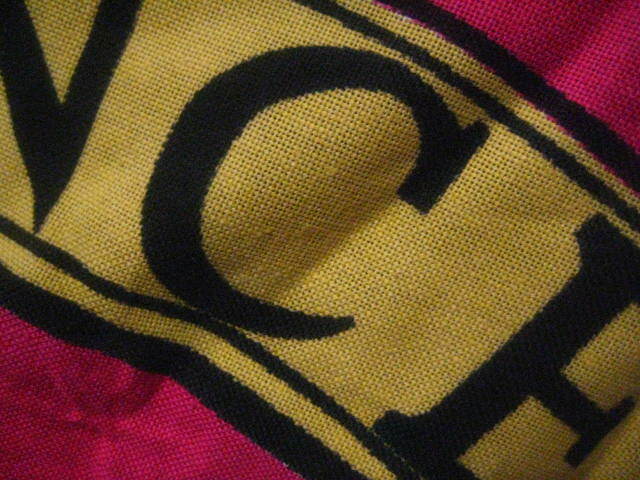 The first is the Viking raven flag. Yes, I know that Erik the Red (or his son, Lief Eriksson) reached "Vinland" in the mediaeval period, long before Columbus. Neither of them brought this flag with them. Sorry, but that's a fact. It is a common misconception that the Viking raven flag was a kind of national flag in the modern sense. It was no such thing. The design, which probably varied considerably, is recorded only five times, and in each case in connection with a specific leader. In one case the flag was "magic" and the raven appeared only when the flag flew in battle. Yes, well, maybe ..... Certainly the only case of the flag being recorded outside the British Isles is a reference to Harald Hardrada, King of Norway, having such a flag, known as "Landwaster". Fat lot of good it did him, as he was defeated and killed at Stamford Bridge, just outside York, in 1066. That is the last record of any of these flags."" My reply: >>So, thank you for your patience. Remember, I am never bothered by challenges to any flag. Instead I welcome any chance to get it right. With your permission I will even post your comments and credit you by name and provide a link to The Flag Institute. To your comments: I make no claim for the so called Viking flag to be anything in particular. It is just a cool looking flag that is available here and its distribution is not of my doing. I will be glad to offer it as what you now point it out to be. It has been available for years from many sources. I just try to offer every flag I can. By the way, I make no claim to be a vexillologist, a scholar or a historian. I am a huge history buff and flag fan. 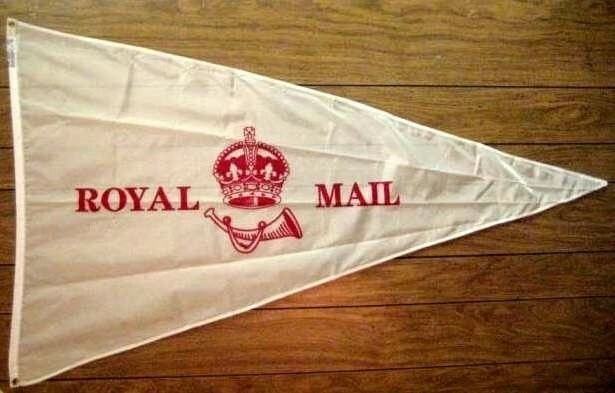 I do consider myself to be a professional flag merchant. As the latter, I do try to provide accurate information and products. 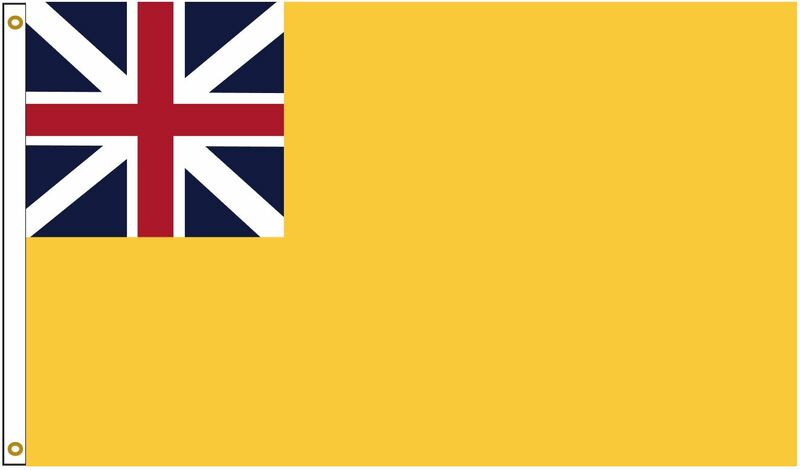 >>The flag you show, of the United East India Company was indeed used, in the East Indies and at the Cape of Good Hope. Its only appearance in American waters, was for the original survey of the coasts of modern Long Island, New York, New Jersey and the Delaware river in about 1620. In 1623 (if I remember correctly) the Dutch founded their settlement of New Amsterdam (today New York) when Peter Minuit bought Manhattan Island for some beads - or so the story goes. Minuit was in the service of the GWC, the Chartered West India Company. It was this company which set up New Amsterdam and also founded Dutch settlements in the Caribbean, the modern Dutch East Indies (or whatever it is they are calling themselves now!). 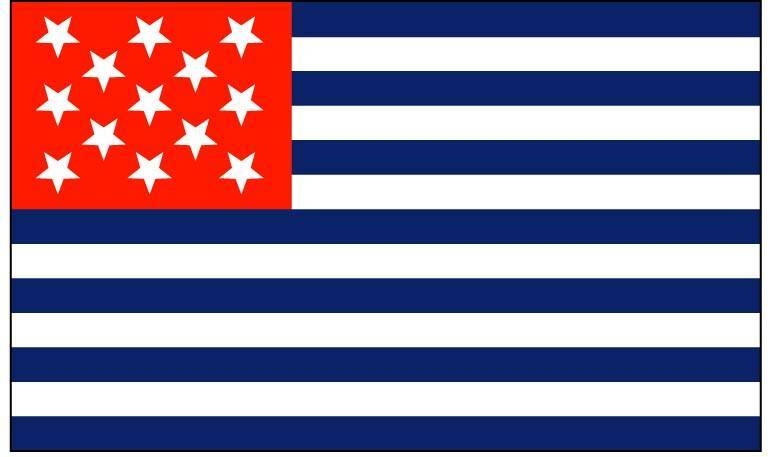 So the EAST India Company flag never flew over NewYork, but it was seen in the earlier survey. The flag hoisted over the settlement of New Amsterdam was that of the WEST India Company, the same design as the former flag but with the initials GWC combined in the centre. Just to clarify matters a bit more (or confuse you completely!) The United East India Company was so-called because it was an association of six Dutch chambers of commerce in different cities. 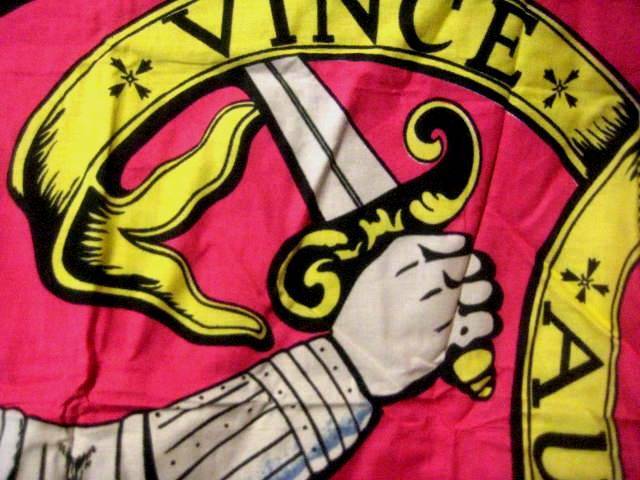 Each Chamber in the company had its own flag, in the livery companies of the particular city, with the VOC monogram surmounted by the city's initial letter. This was never the case with the West India Company, which was chartered directly by the King of the Netherlands. (See Flagmaster No 092 for all the flags of the Chambers of the EIC). 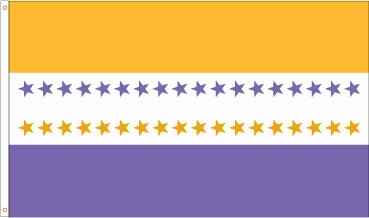 >>Finally - and most controversially - the flag of the Alamo. See Flagmaster 125 when published (soon, I promise!). Article on Mexico deals with this design. 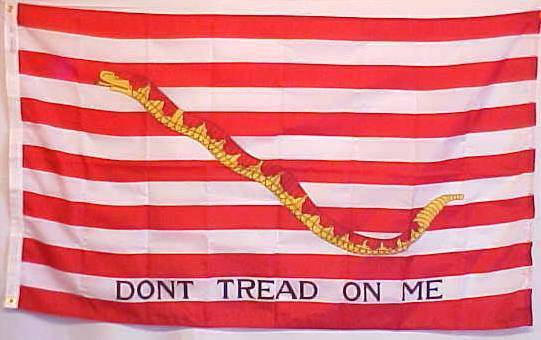 The "1824 Flag" was designated by the Texan Assembly in November 1835 for privateer vessels. There is no record of it having been used on land. Certainly, by the time the siege of the Alamo began, no-one in the fort would have accepted a Mexican-pattern flag. The "Coahuila y Tejas" flag is recorded as being raised in defiance as Santa Anna's Mexican force reached San Antonio; but it was hoisted for only about five minutes, before the hoisters took in the size of the Mexican army and decided that discretion was better than valour. 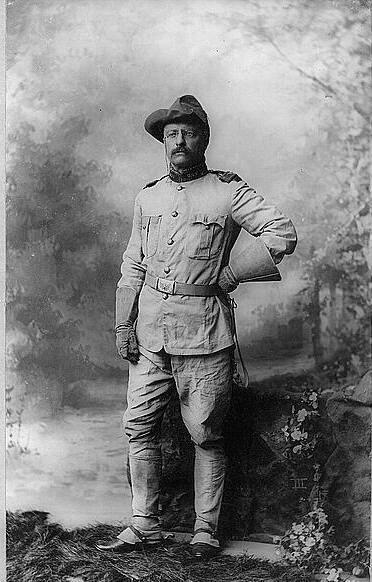 Alamo commander Travis wrote that he brought "a flag" with him to San Antonio, but no description of it survives. My Reply: >>And next , The Alamo. Ah, "The Alamo Flag". 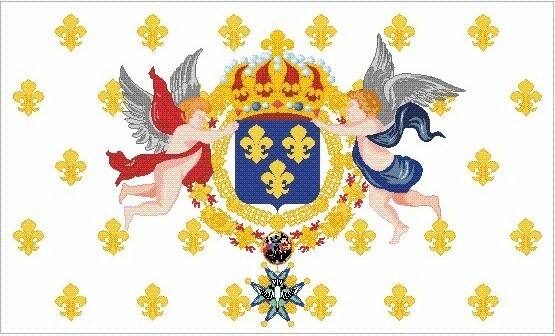 I already know about The New Orleans Greys flag. Apparently you never got a chance to see it on my web site. 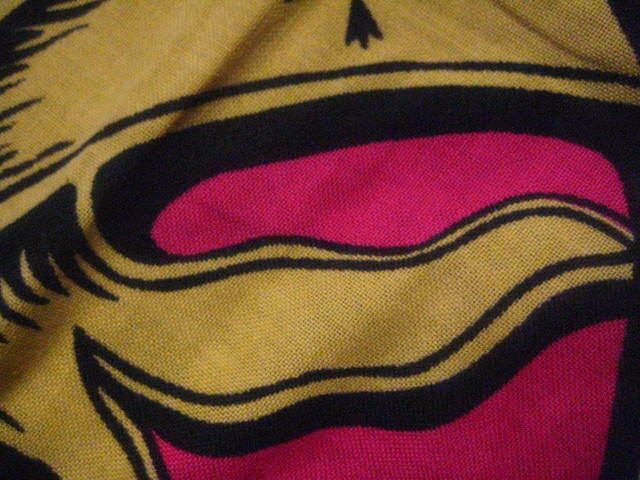 That is one of the earliest unique flags I brought to market. It was a great job and we took more than a year to get the artwork right. A customer had been urging me to do it for years, and he had a black and white glossy photo of the original badly deteriorated flag. A Canadian artist did a great job of recreating it. I had a fine write up on the web site about its history . It was on my web site and in my catalog for years. I only just recently removed it because I either now had to produce yet another batch or discontinue it. The batch I would have needed to make would have been a two year supply and I just did not want to commit that many to inventory again. > I just recently sold my only remaining flag "used , as is" to a heritage organization in Texas who liked my design so much, they were willing to take my own personal display flag at a discount just to at least have one.